How to manage breastfeeding when you return to work. The World Health Organization and the Canadian Paediatric Society recommend that babies have nothing but breastmilk for the first six months of life. In the modern world, there has been a surge in the number of women of childbearing age in the work force and women are returning to work sooner after birth. Giving birth is a life changing experience for every woman. Figuring out how to manage breastfeeding when you return to work after having your precious baby will take more planning than just returning to work after a vacation! There are many, many things to consider when planning your return to work. A lot of factors can be discussed with your employer while your still pregnant so that you can pre-arrange your return to work and give yourself less to worry about after you’ve had your baby. If you work in an environment that is not familiar with breastfeeding or pumping moms, you may need to provide your company with a bit of education and inform them of your rights when returning to work after having your baby. Fortunately, Canada has developed many laws and guidelines to protect nursing moms. In Ontario, provincial law dictates workplaces must support breastfeeding to comply with law. The Ontario Human Rights Commission states, “Women cannot be discriminated against in any way because they have chosen to breastfeed.” Your employer must make arrangements that allow you to continue breastfeeding when you return to work, this includes women who are exclusively pumping or planning to pump while at work. The Commission also says that “Employees who require breaks, such as for pumping or breastfeeding, should normally be accorded those breaks, and not be asked to forgo normal meal breaks as a result, or work additional time to make up for the breaks, unless the employer can show undue hardship”. Laws such as The Ontario Human Rights Commission are in place to assure you are comfortable and not afraid to ask for your rights when you return to work. You may need to bring legislation to your employer’s attention as the rights for breastfeeding women are developing regularly and they may not be up to speed with the most recent laws or guidelines. Many workplaces have made efforts to become more breastfeeding friendly and now provide comfortable spaces for women to nurse or pump. Speak to your colleagues and inform them of your plan to continue breastfeeding when you return work. Being comfortable around your colleagues while you adjust back to work is important to support you with your work responsibilities while you nurse or pump frequently. It may be a bit daunting to speak with colleagues about nursing or pumping but be proud you are choosing to multitask work and providing milk for your baby! Adjust your nursing or pumping space. Prepare your space with a comfortable chair or cushion, preferably somewhere private that you can be comfortable in. 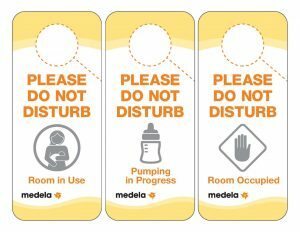 Perhaps make a sign for your door whilst you are nursing or pumping that simply says ‘Do Not Disturb’ or ‘Private’ to avoid interruptions. Have a drink of water or snacks close to hand so that when you do get comfortable, you don’t have to get back up again! If you are planning to nurse your baby exclusively when you return to work, plan how you are going to care for your baby in your workplace. Is there a daycare in your workplace where you baby will stay while you work? Is your workplace accommodating for your baby, so you can work simultaneously? Is someone going to bring your baby to you to nurse? 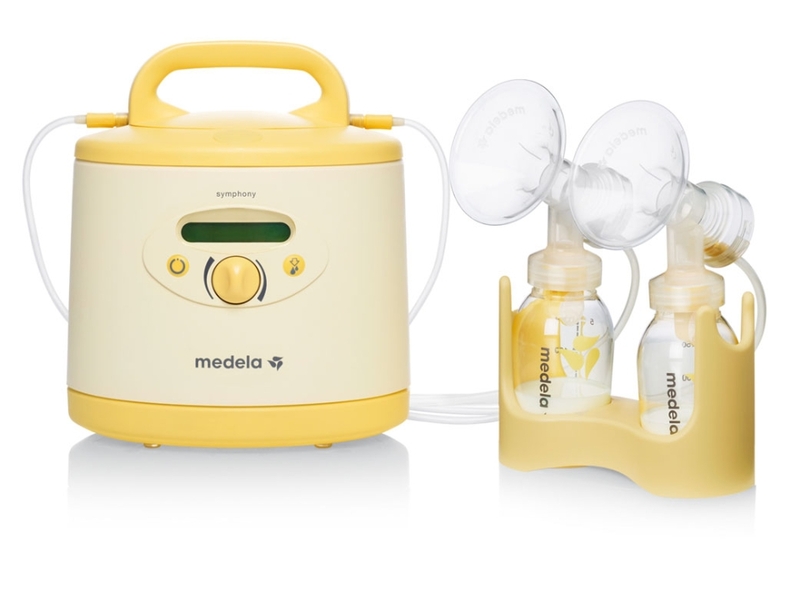 If your baby is not going to be with you to nurse, consider a breast pump to express milk for your baby during the day while you’re away and nurse when you’re home from work. Your care provider can then feed your baby your breastmilk you expressed while you are away. If you do plan to pump when you return to work, it is important to plan the frequency and time involved in pumping. If you wish to keep up your milk supply, consider how often your baby nurses. If your baby nurses every 3 hours, consider pumping every 3 hours. Typically, women pump every 3 to 4 hours, meaning two pumping sessions if you work an 8-hour shift. Discuss this frequency with your employer or management so that they are aware and can accommodate your pumping schedule. If you are planning to pump when you return to work, take time to consider what pump is right for you. Breast pumps can be discreet in appearance but can be surprisingly noisy! The noise does not bother everyone but if you are conscious about pumping in your work place be sure to test out a few pumps in store before investing a lot of money in one. Always be sure to do your homework and buy a good quality breast pump. 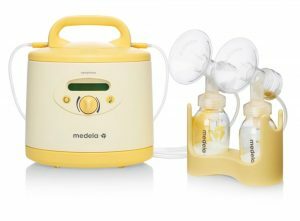 Most breast pumps include a 1-year warranty but if you are pumping 2-4 times a day consecutively, your motor may weaken over time and extensive usage may not be covered. Consider the cost of a breast pump and accessories when planning your return to work. Just because a pump is the most expensive model, does not mean it is the best! Talk to experts and other moms about what your pumping needs may be and make an informed decision before you invest a lot of money. Decide what accessories you may need. Will you need a handsfree pumping bra, so you can work on the phone while pumping? Will you need extra pumping bottles, so you don’t have to use more time to clean your bottles between pumping? How many storage bags will you need? More and more work benefit plans cover breast pumps and breastfeeding services such as lactation consultants now. Speak with your benefit provider to see if they can finance a breast pump for you or if your company can provide a multi-user pump such as a hospital grade breast pump for you, cutting down the cost for you! Two pump kits makes pumping less time consuming and more convenient – keep one at home and one in work to avoid forgetting your kit at home! Use Medela’s QuickClean microwave sterilizing bags to quickly and efficiently sanitize your pump parts in under 5 minutes. Plan your clothing accordingly – wear something that is easy to nurse or pump in such as a nursing or pumping bra and a top or dress that is comfortable to nurse or pump in. 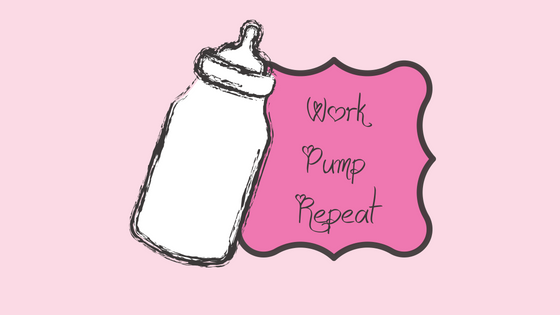 If you notice a decrease in your milk supply from being away from your baby, pump more often to increase your supply.